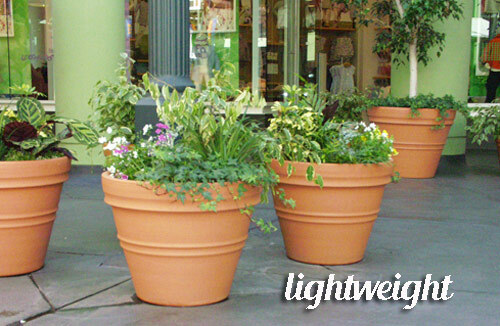 Yep, we can honestly say we LOVE terra-cotta garden planters! When Arizona Pottery first started that is all we sold. Nothing but real clay garden pottery and some accessories. They were and still are the basis of our business. 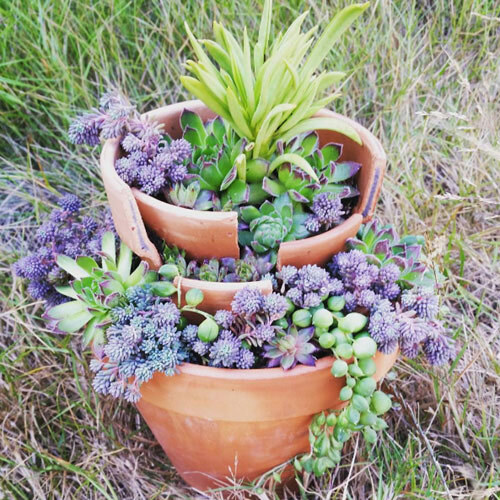 You may ask yourself why do we love terracotta planters so much? Well, let us explain. 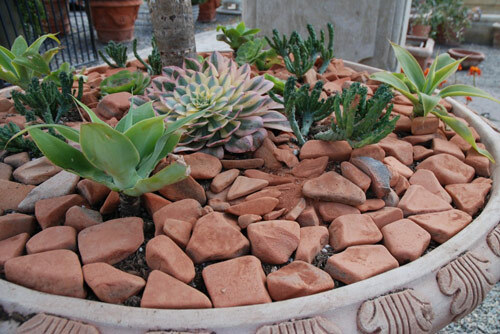 Plant Health - Terracotta breathes. This means the clay, which is real and harvested out of the ground is not so compact that it lets air thru it. This also means water will saturate the pot and seep. A plants roots like good air circulation and clay flowerpots are know for being healthy. 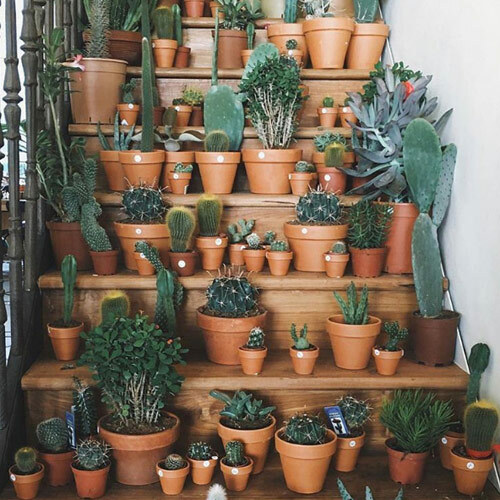 Once you use real clay you will find that your houseplants will perform better. Watering - Since a clay pot is porous it will keep water from sitting in the bottom of the pot, soaking the roots and possibly drowning them. The water will seep into the clay and dissipate. 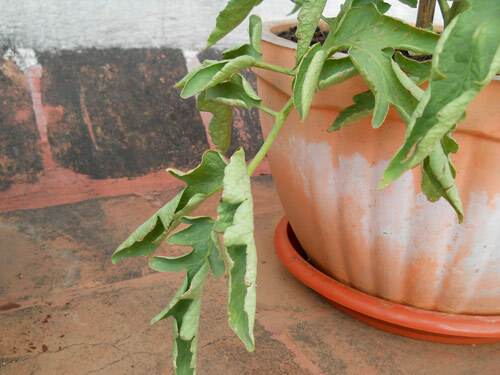 Unfortunately if you have chemicals in the soil or water they will show up on the sides of the pot as a white calcium line. Beauty - Because real terracotta pottery is porous it will start to age and show it's wear. Many folks really like this and will even take steps to age their clay containers by applying yogurt or milk to the outside of the clay pot. 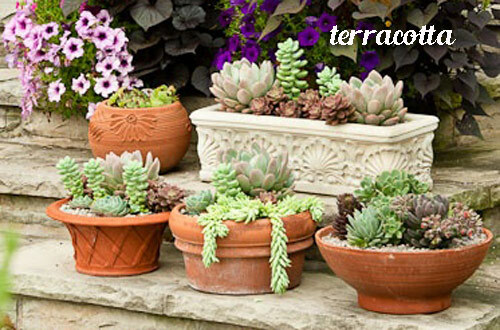 Everyone has a different idea of what beauty is but we love the aged, rustic look of terra-cotta pots and planters. 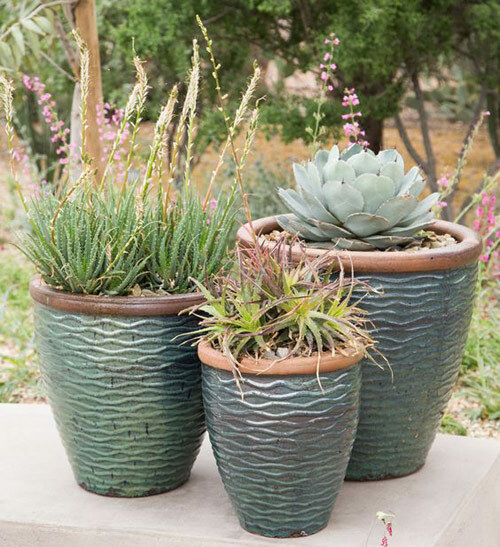 Selection - Arizona Pottery imports real clay flower pots from Italy, China, Mexico and Vietnam. Each factory uses their own clay mix or will harvest the clay out of the ground using their own firing process. 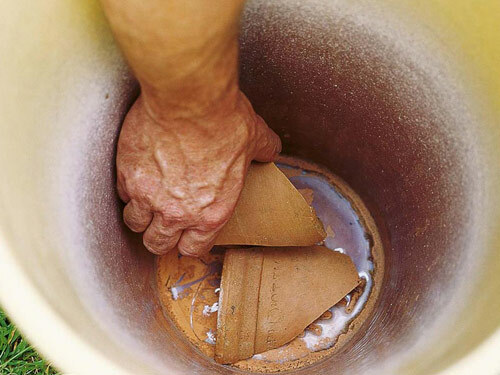 Some clays are smooth and silky like the Italian, while the Mexican clay is dark and very porous. So porous and heavy that it will start to break down the first year of use. 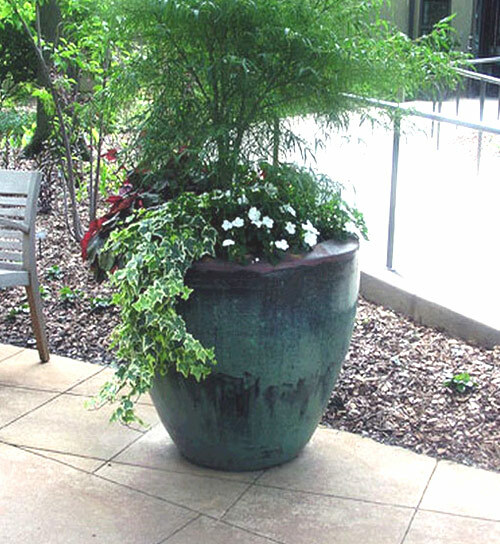 We love the old traditional styles of Rolled Rim Garden Planters as well some of the newer more contemporary styles. There is always something to choose from. 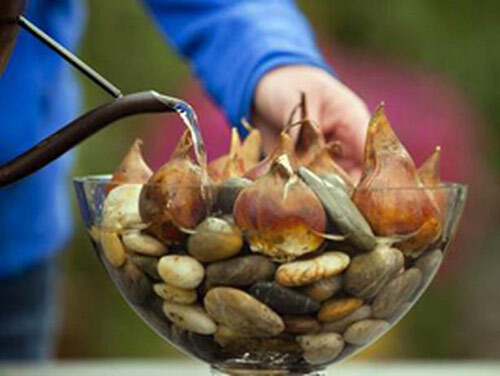 Many Uses - Yes real clay garden pottery will break but that doesn't mean you should toss them. 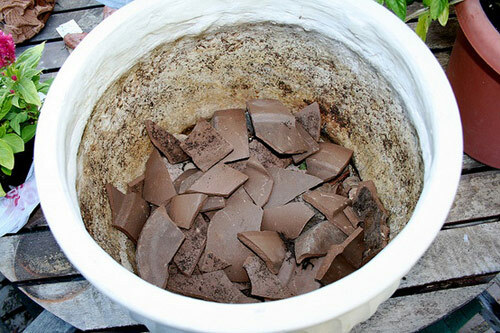 You can re-purpose them into pot shards to fill the bottom of your larger containers. The terracotta shards will shield the drain hole and keep soil from plugging it up. 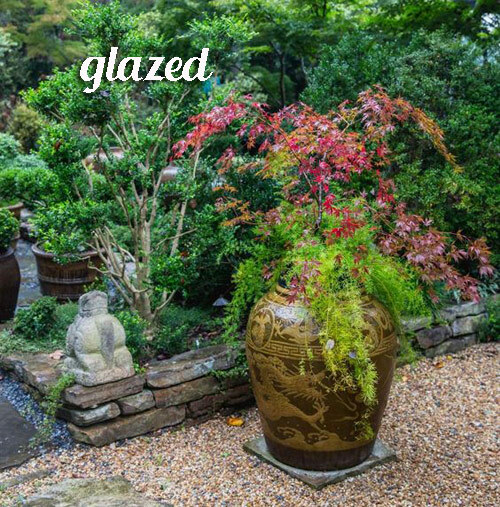 You can stack large pieces into pots and create a fairy garden or elf shelf. Don't toss those broken pieces.... think outside the box and have fun with them. 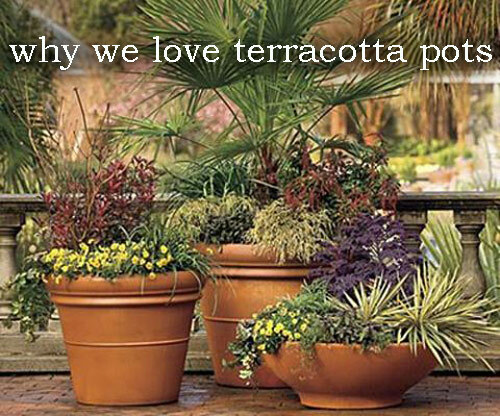 So those are a few of the reasons why we love our terracotta home and garden planters so much. If you wish to share your thoughts we would love to hear them. Hi Elaine, Once you get those calcium and salt deposits on the outside of the garden planters it's next to impossible to get them off. It's best to seal the pots before you use them with Thompsons water seal from Home Depot. You need to keep the chemicals in the potting soil and the fertilizer and water from leaching into the clay. 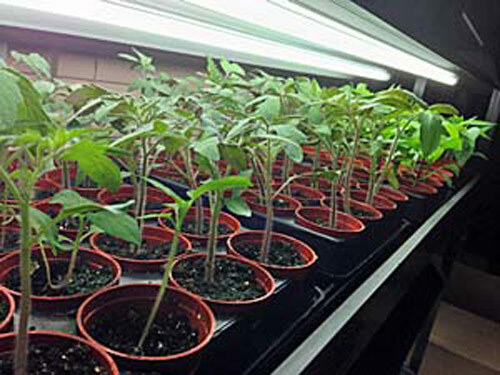 Are you intimidated by the thought of growing your own potted vegetable seeds indoors? Does it sound daunting and hard to do? Well, in this blog post we are going to discuss how really easy it is if you follow a few basic steps. Let's start with what you don't need. You don't need expensive equipment. It doesn't take a lot of work. You don't need to be a green thumb gardener. Any beginner can do this. And, you don't need a ton of space. Like we have stated it's basically easy to do and very rewarding. 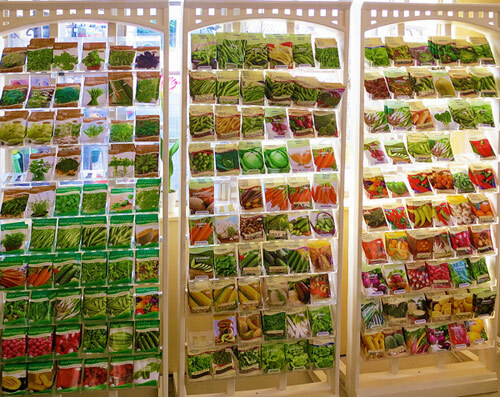 You aren't limited to the seed selection at your local nursery. You can go on line and find heirloom seeds that cost much less. There are hundreds of great tasting varieties. 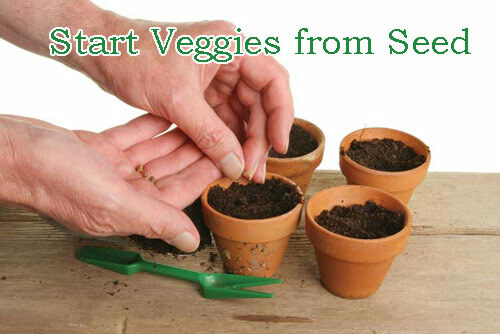 Now think of the money you will save by growing your own veggies in planter pots at home. You will know they aren't sprayed with pesticides, are potted in clean potting soil and haven't been shipped across the States. 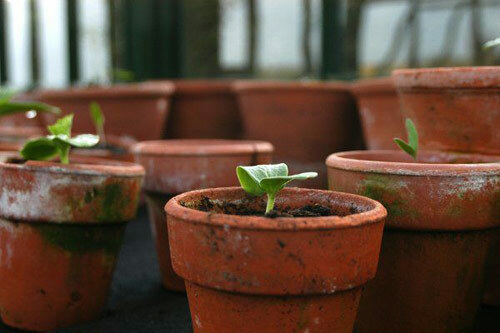 There is nothing better than reaping the rewards of growing your own veggie potted plants. 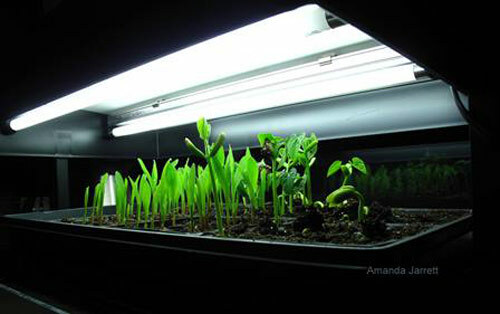 Step 1 - Light: The light that is needed to grow veggies indoors can't be from sunny windows. The seeds will turn into plants but they will be spindly and weak since the source of light is so far away. You need inexpensive fluorescent light with cool white bulbs. These work beautifully and with great success. Step 2 - Good Seeds: If you aren't a seed saver then purchase fresh seeds from a online source with a good reputation. Try to find unique heirloom varieties of tomato, cucumbers, peppers and beans.... You will be amazed at the variety of flavors, colors and shapes that come out of the same type of veggies. We recommend purchasing seeds annually. 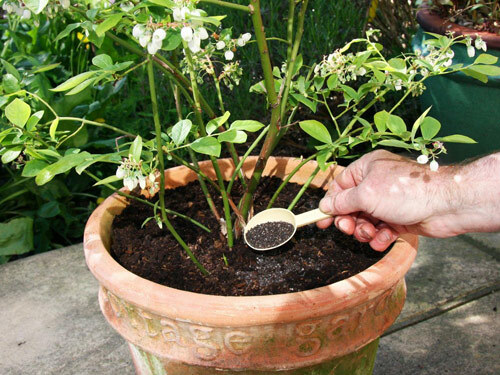 Step 3 - The most important step is to keep the soil slightly damp. If it's to wet the seeds will rot or drown. Once the seeds germinate the water needs will increase. Touch soil with finger each day. Gently water if dry to keep it moist. Remember damp not soggy. 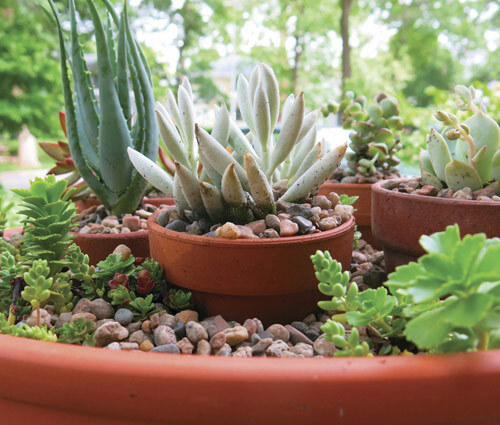 You can use cell packets or better yet small terracotta pots. Try to keep the pots small like 3" or so. You will transplant the plants into larger pots later. Step 4 - Prepare the plants to the outdoors in stages. 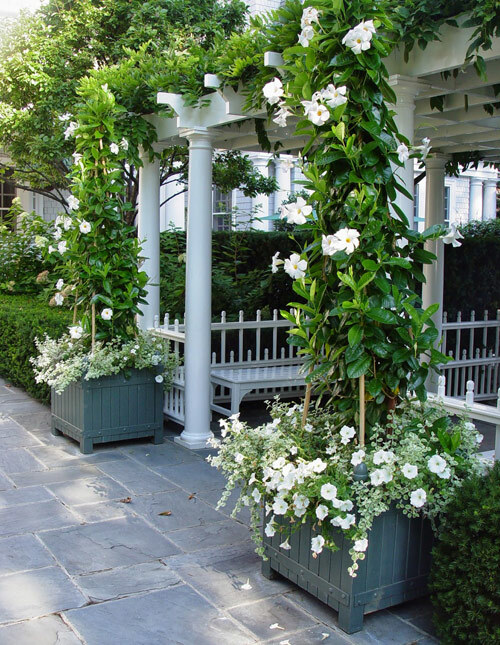 Since they have spent all their time inside your home with great conditions you don't want to just take them outside and put them in a garden planter. Start by taking them outside on a few warmer days. Continue to give them more and more exposure unless the temp drops below freezing. 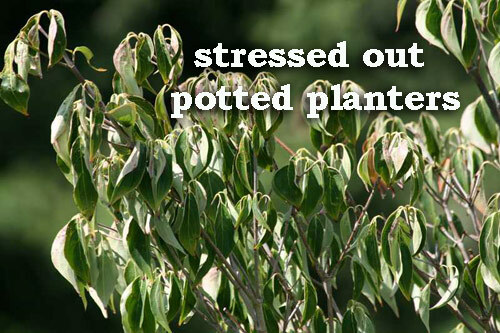 Your goal is a week or so before planting, they can be outside around the clock. So now is the time to be thinking about starting your own veggie seeds. That way come early Spring you will have tasty potted vegetables that you grew your own. Has this dark, cool winter weather got you feeling a bit blue? Well, we can all agree that it tends to bring you down but here are a few easy things you can do that will help to bring you back up and boost your mood. 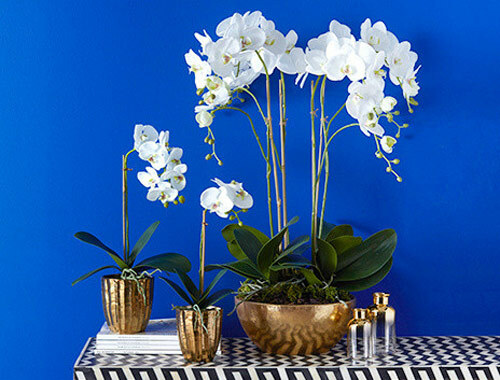 Pot up some indoor blooms this time of winter and brighten up your home. Pick up any women's magazine and you will see articles on Seasonal Affected Disorder. The winter blues are real. 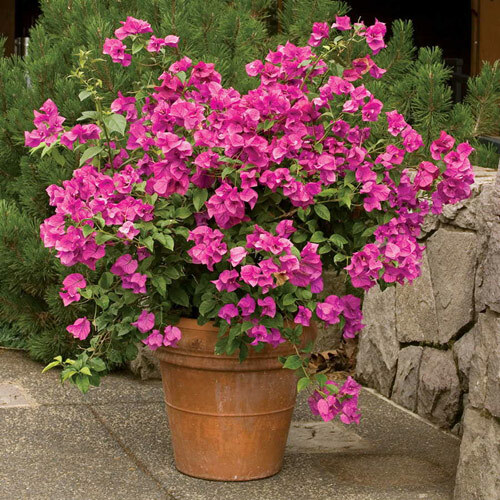 Studies from around the world have shown that indoor potted flowers promote relaxation and happiness. Why not try a few and see how you do because what have you got to lose? 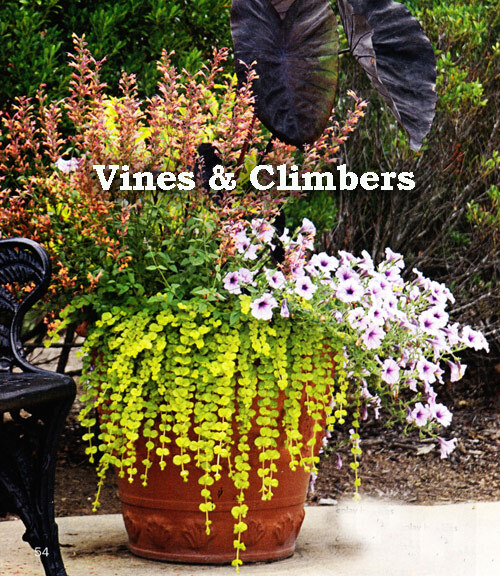 Below are a few types that do extra well indoors in garden pots during the winter months. 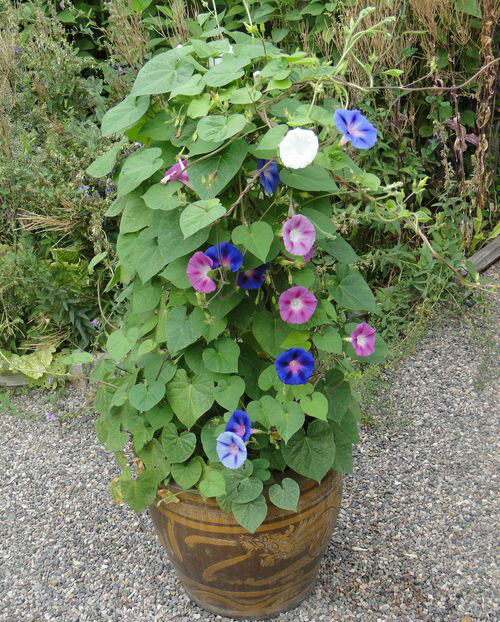 Everything from elegant types to houseplants are easy to pot and grow. 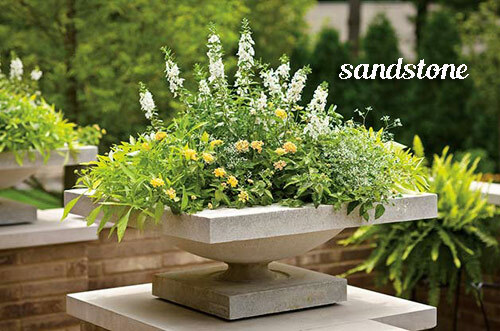 These flowers can stay in a decorative container and look lovely when topped with decorative rocks, colorful pebbles, or deep green moss. 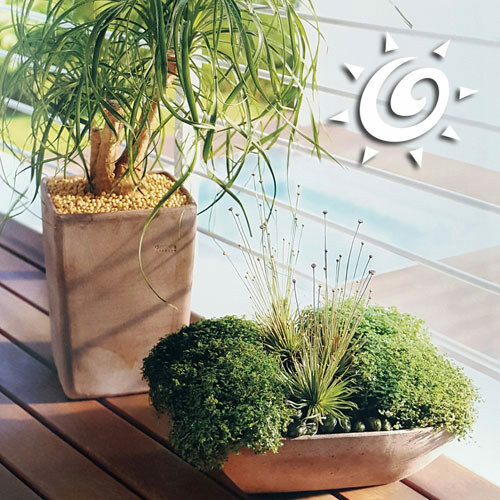 All of these pot toppers not only look lovely but help to keep the soil damp and increase the indoor humidity around the plants. 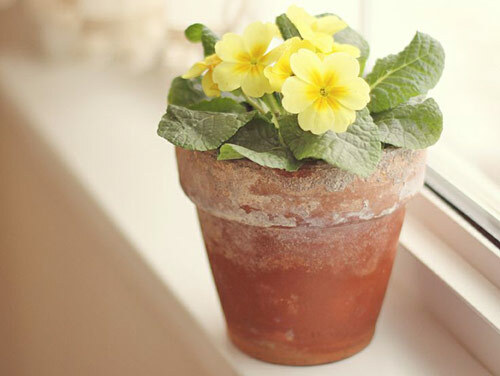 Primroses - Perfectly lovely for a kitchen windowsill or bedroom table. These are so delicate and colorful which come in many colors. 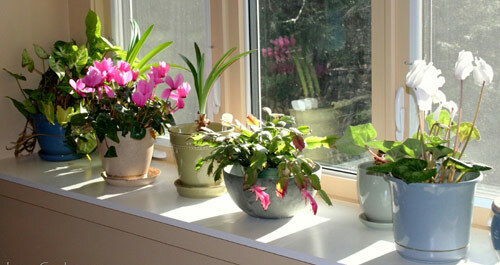 Potted primroses like bright light so this is not the time for a dark corner or room without windows. Orchids - Very elegant and stunningly beautiful these are not the easiest indoor blooms to pot and grow but once you dive in and get your toes wet you will realize that they are not that hard either. They just look difficult and intimidating. Keep the roots drenched once a week and drain off the excess water. These make wonderful gifts. Cyclamens - Star blossoms that come in lots of colors that will compliment the color of your indoor decor so have fun when selecting them. 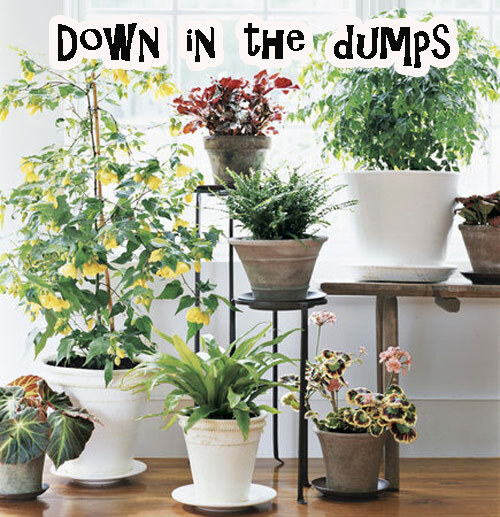 As with other types of houseplants they like damp soil but not wet water. Misting is also a great benefit. 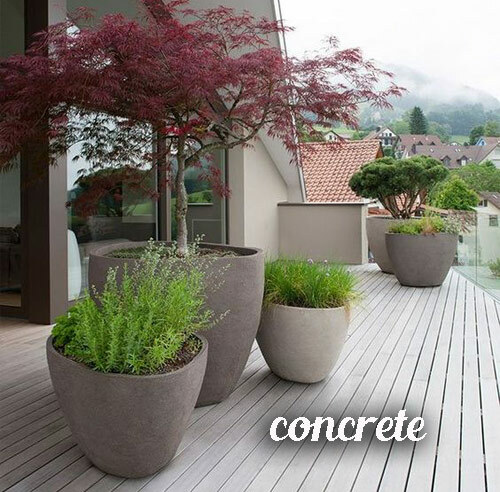 Pretty flowerpots placed around your home during these stark winter months can really perk things up and bring on a happy mood.